Spring is in the air this weekend. I hope you have a lovely time chasing chocolate bunnies through fields of daffodils. 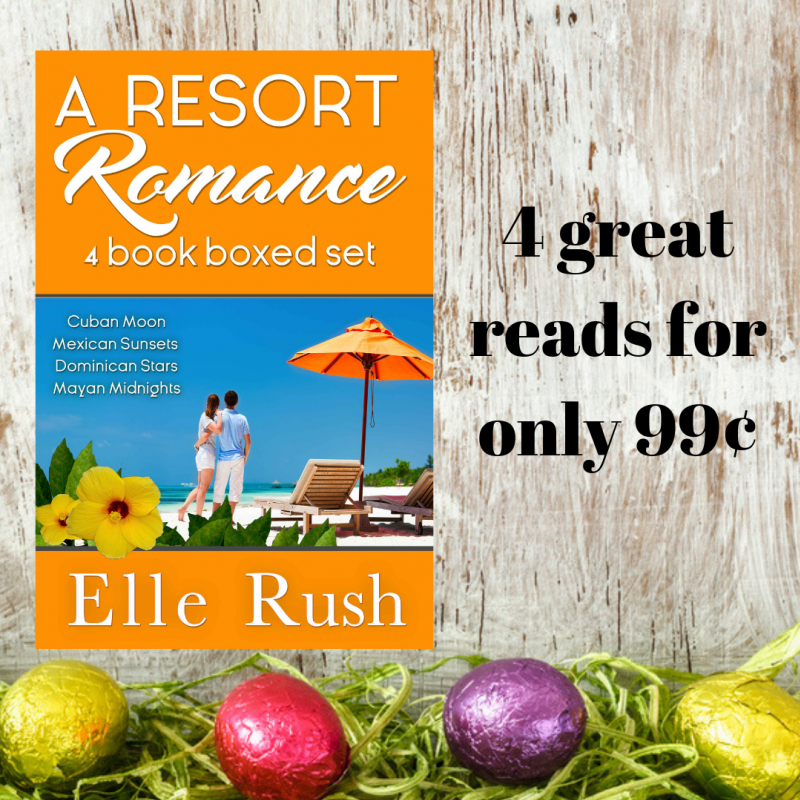 If you haven't tried out a Resort Romance yet, now is your chance. Get all four box for the price of a single title. 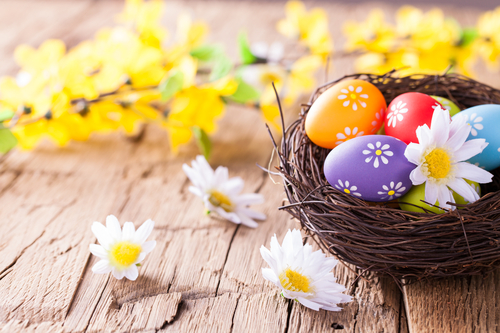 It's almost as good as finding a chocolate bunny hiding in your fridge! Lisa & Hank, Dena & Curtis, Julie & Dennis, and Angie & Tim all invite you to the tropics for the weekend. 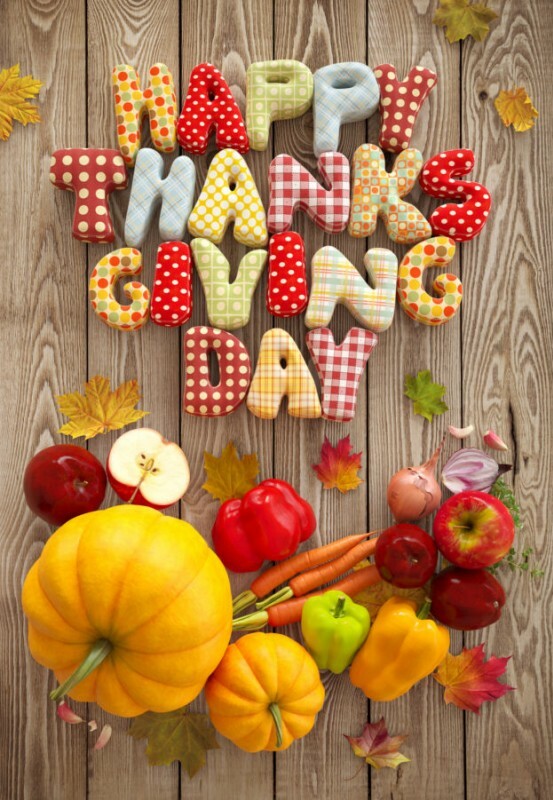 Bring your sunscreen and prepare for lots of love and laughter! 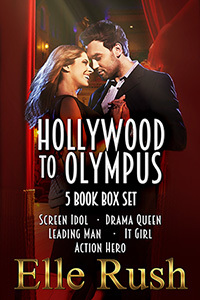 Get the five book Hollywood to Olympus box set at 40% during the boxed set sale! That's only $5.99! The groundhog lied. With at least six more weeks of winter, here's something to chase your blues away. SCREEN IDOL is currently free on all vendors. Join Sydney and Chris for one wild, fun-filled day as Hollywood romance works its magic. 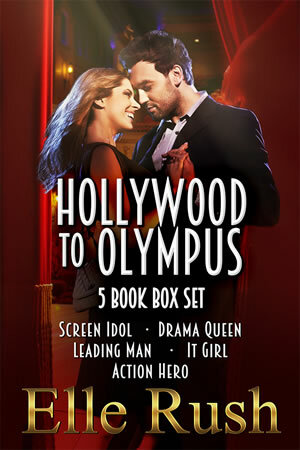 And then check out the new boxed set of all five Hollywood to Olympus books for only $9.99 - save 25% off the single title prices. Find your preferred e-Book retailer and download your Hollywood Romance fix today. Merry Christmas from me to you! 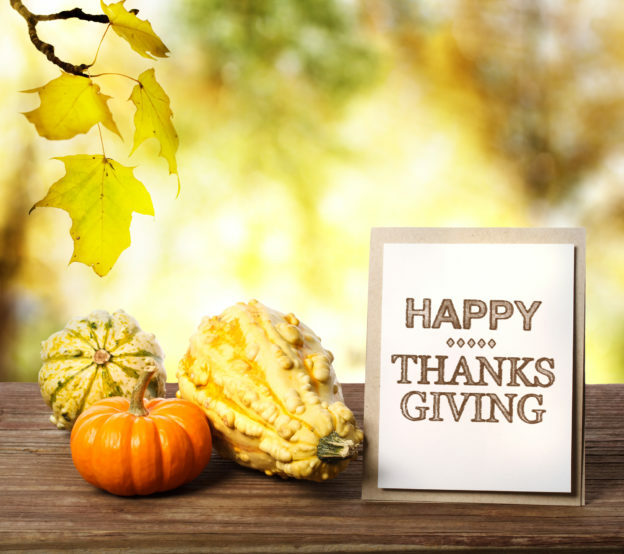 From now until the end of the year, DECKER AND JOY is free at all vendors. I hope you enjoy my sweet Christmas romance about a P.I., a kitten foster-mom, four bundles of fur, and an elf on the run. 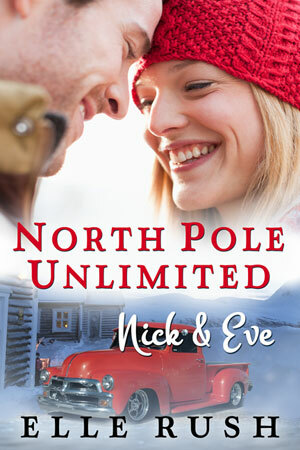 Once you are through with DECKER AND JOY, don't forget to check out HOLLIS AND IVY and my newest North Pole Unlimited romance NICK AND EVE for only $2.99 each. It’s almost here! 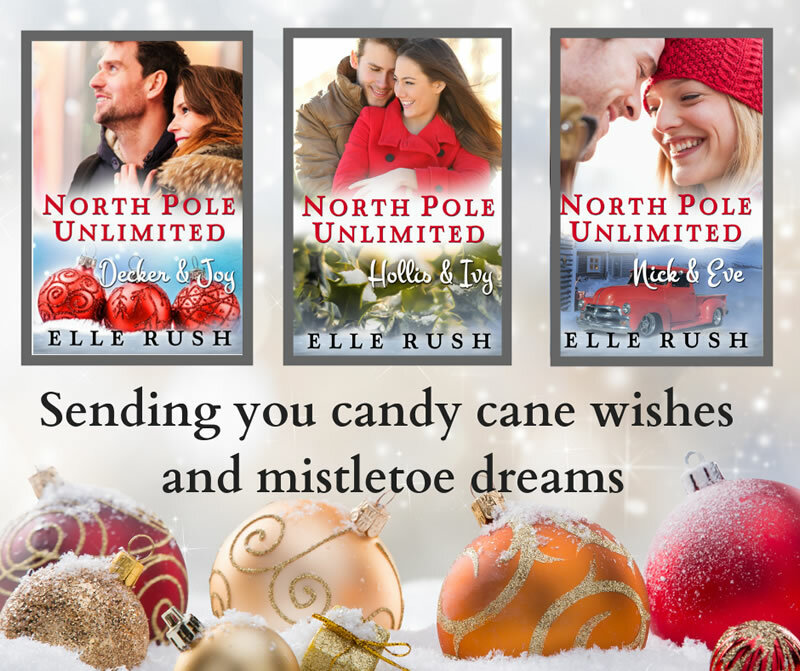 Are you ready for the latest North Pole Unlimited romance? NICK AND JOY will be released on November 19th, but the pre-orders are available today! 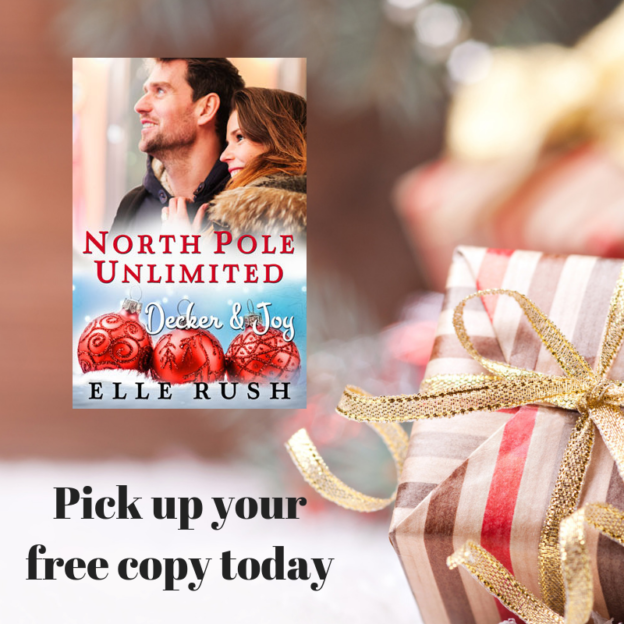 Take a peek at this fun, heartwarming Christmas romance!